When it comes modifying a classic American muscle car, there is no better option than the first generation Chevy Camaro. 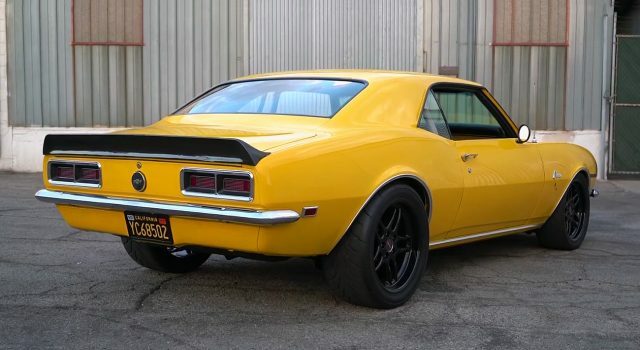 As you can see this 1968 Chevrolet Camaro it looks absolutely badass, and the body color can be better than this combination of yellow – black and black wheels. This ’68 Camaro is built for one purpose only, to be driven as hard as you can. 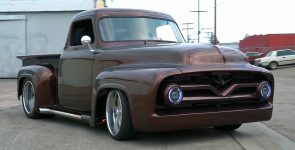 Therefor there are not dramatic body modifications, neither modern si-fi interior swaps. It is super clean, pure 1968 Camaro F-body platform with a powerful engine under the hood and upgraded suspension. 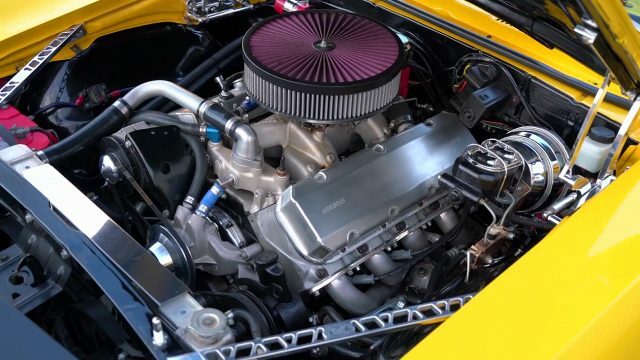 Speaking of the performances, this 1968 Chevrolet Camaro under the hood it is powered by a Chevy’s 502 cubic-inch, 8.2-liter big-block crate V8 engine. 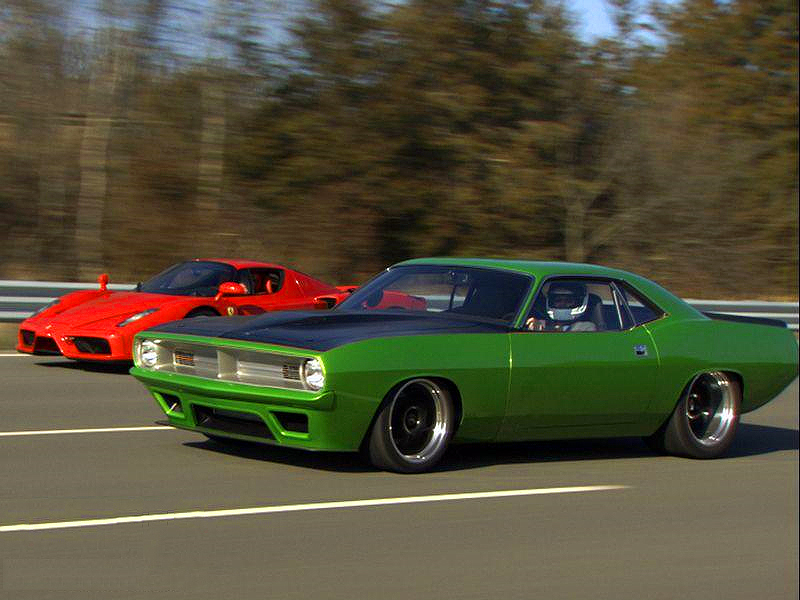 Equipped with four-barrel Holley carb on top, this engine produces over 600 horsepower and 600 lb.-ft. of torque. 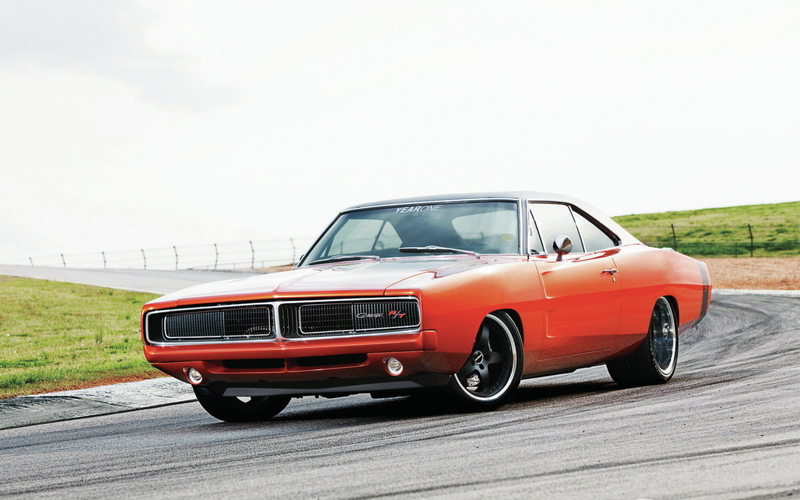 The engine is mated with Richmond 6-speed manual transmission system. The suspension components are made by Global West. Tubular upper end lower control arms with Bilstein shocks, coilovers up front, and Global West leaf springs at rear. Baer brakes, which include 4-piston calipers with, vented on all four wheels and awesome 18-inch black rims wrapped with Toyo Proxes R888R tires.